Are you looking for a delicious chicken recipe with a difference? If you are, you’ve found it! 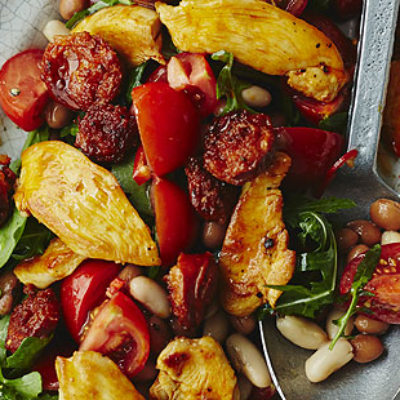 Here’s my chicken and chorizo salad with beans and rocket leaves for you to enjoy. 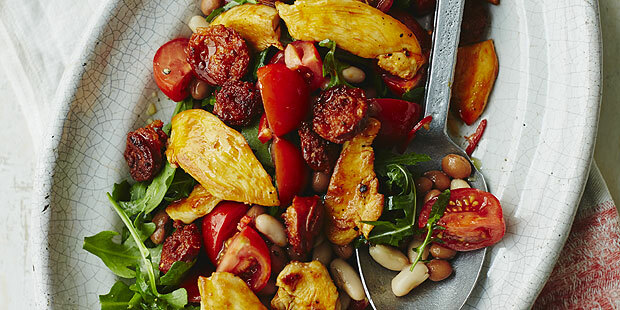 Feast your eyes on the finest chicken and chorizo salad with beans and rocket leaves! It’s straightforward and fun to make this great dish. Simply follow the instructions below and get the perfect result. 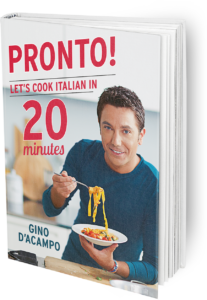 Once you’re done, simply sit back and enjoy your chicken and chorizo salad with beans and rocket leaves and don’t forget to check out other great authentic Italian recipes including great antipasti recipes, Italian pasta recipes, Italian soup recipes, Italian beef dishes and authentic pizza recipes.